This week’s buzz features what philosophy of science has in common with dating, why Western philosophy begins with the Book of Job, and a new book that tells you there is life after death. I came across an interesting interview last week with journalist Judy Bachrach, author of Glimpsing Heaven: The Stories and Science of Life After Death. The book—published by National Geographic—came out last Wednesday. In Glimpsing Heaven, Bachrach interviews scores of people who have had near-death experiences (NDEs): experiences of coming back to life after being dead for any period of time. She prefers the term “death travelers” to describe these folks. And when I first ventured into this strange area of research, I was pretty sure . . . that it was all the result of oxygen deprivation and that these were hallucinations. It was only after I discovered that it can’t be the result of oxygen deprivation, and these were not hallucinations, that I realized I had to change my views. That’s a very difficult thing to do . . . But every bit of evidence, every single person I interviewed, forced me to change my views. It was something I did quite unwillingly and with a good deal of skepticism. What I tried to do, as a journalist, was simply record what these people say happened. All I know is what I’ve reported, which is, when you die, that is not the end. Stuff goes on. That, to me, is weird. But it’s true. NDEs have received a lot of attention in the media recently. Some of these NDEs match Christian expectations of the afterlife. Some do not. I’m not sure what to make of this phenomenon, mainly because I’m not a doctor or scientist. What seems beyond dispute, though, is that whatever is happening to these people has serious consequences. An atheist art professor in Kentucky, for example, became a pastor after his experience. I recommend checking out his story. Could a close brush with death account for some of these radical responses? Maybe. Maybe not. 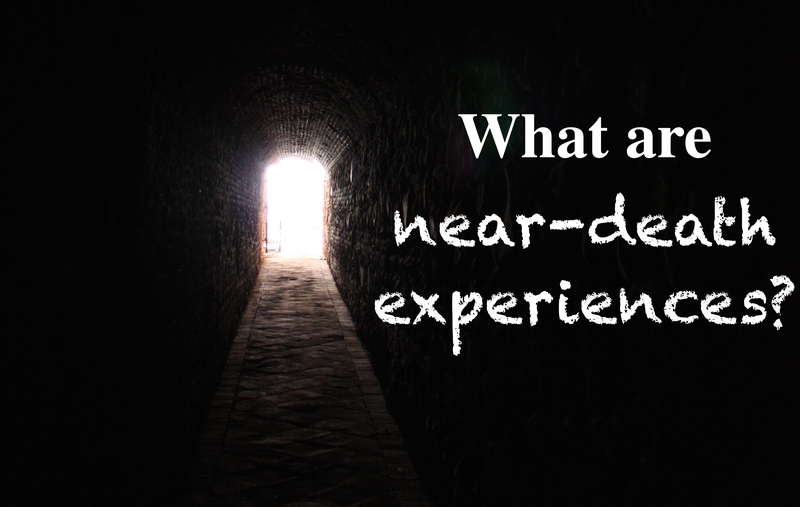 What do you think of near-death experiences? Are there less exciting explanations of them? Or are they glimpses of something real? If you have medical or scientific training, I’m especially interested in your thoughts. How Do Science and Philosophy Relate To Each Other? You should watch a new, short lecture by Massimo Pigliucci about philosophy and science. (His talk starts at the seven minute mark, and it only goes for 30 minutes or so.) He rocks a fantastic purple shirt and bow tie. It’s like dating. Every time you start over, you say “this time I’m really going to get it right,” and then it’s like it all goes down to hell. P.S. The moderator looks like the father from The Boondock Saints. You can see him right before Pigliucci takes the stage.
. . . Western philosophy begins not with Plato, but elsewhere, and earlier, with the Book of Job. That is because I believe that the problem of evil is the central point where philosophy begins, and threatens to stop. . . . if the task of philosophy is to show how the world is, or can be made rational, then it must address the presence of evil in the world. Neiman offers a whirlwind (pun intended) tour of Job’s textual history and history of interpretation. While I don’t agree with her conclusion about theodicy, why a good God would permit evil, I like the great questions she asks. For another interesting perspective on the issue, see philosopher Eleonore Stump’s great take on Job and the problem of evil. The current issue of Scientific American is all about evolution. What do you think of this week’s buzz? Please share your thoughts below. I think NDEs are fascinating personal accounts of persons. I don’t know what qualifies as “less exciting explanations.” Brain data could be gathered about what parts of the brain may be active/inactive at the time of death that may be associated with these experiences, but this association does not merely “explain away” the experiences. There have been accounts in which persons who have had near-death experiences have not had any registry of hearing in the brain based on medical devices, yet recall entire conversations of physicians in operating rooms because they claimed to have come out of their body during the experience (see Barbara Hagerty’s Fingerprints of God). Such accounts, imho, would bias me toward the presence of something, at the very least, beyond a naturalistic explanation, but I am also open to the possibility of such. In terms of their “realness,” the experiences are very real to those who explain their experiences, but questionable with regard to how much they say about the nature of reality. This, I suppose, brings up another, broader question: what do “religious experiences” of any form say of the nature of reality if there are contradictory accounts provided? How would one discern a legitimate vs. illegitimate experience? I do not believe I can judge that on my own, but would hope to wrestle through it with others. Wow, great thoughts! I’ll have to check out Hagerty’s book.